Spooky San Jose house to become the backdrop of a major motion picture. The Winchester Mystery House in San Jose is set to become the backdrop of a major motion picture. The Winchester Mystery House in San Jose is the perfect set for a horror movie and that's just what a group of Hollywood producers thinks. The famed South Bay mansion, known for its endless staircases, doors that lead nowhere and a history filled with ghost stories is scheduled to become the backdrop of a horror movie as early as next year. 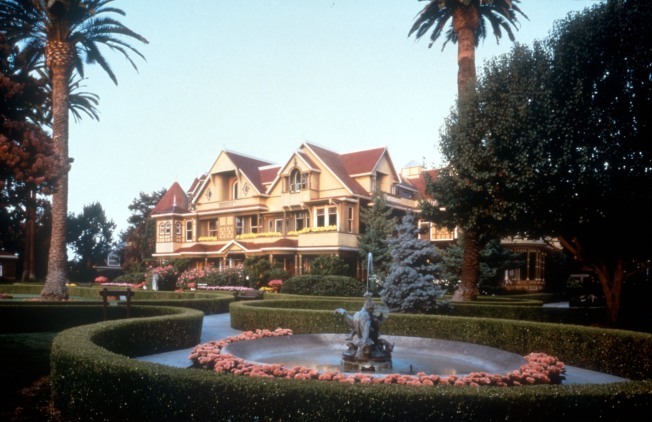 The Los Angeles-based entertainment firm Exclusive Media and the Winchester Mystery House are set to announce the making of a movie based on the life of Sarah Winchester, the former owner of the home, according to The San Jose Mercury News. Historical legend has it that the heiress to the Winchester Repeating Arms Co. believed that if she stopped building that she would die. Sarah Winchester built the home in the late 1800s and kept building until the end of her life. When she died there were 160 rooms in the house. Tobin Armbrust, president of worldwide production and acquisitions for Exclusive Media, told The San Jose Mercury News that he believes he saw the ghost of a woman at the mansion during a trip there as a child. "This is one of those great, untold stories. The history alone makes for great drama," he told the paper. "Her past is pretty amazing, and the more we dug into it, the more layers there were." The movie project still does not a have script, writer, actors or a director.